March 20, 2019 | Vulcan, Inc.
Wire buckles are a handy accessory when poly strapping is being used to secure a pallet for shipping. While wire buckles are fairly simple and straightforward to use, it is worth taking a moment to understand how they work before you get started. With this quick post, we’d like to bring you up to speed on how to use wire buckles for poly strapping so there are no surprises once you get down to work. Need strapping seals and buckles? Vulcan Wire has you covered. Request A Quote today. 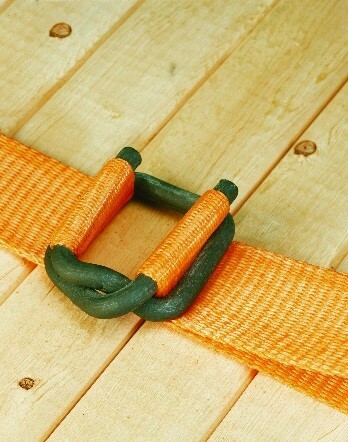 Before getting into the details of using wire buckles to secure your pallets, we should first talk about poly strapping. This is an extremely popular product for a variety of palletizing and packaging tasks, and for good reason. 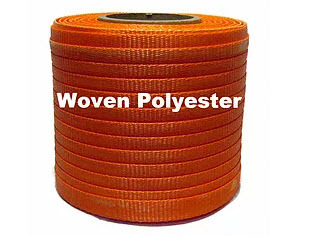 If you would like to use plastic strapping in order to stay away from some of the potential safety issues of steel straps, poly is a great choice. You’ll still have a strong material, which is rather easy to work with. Some loads are still going to require the strength of steel, to be sure, but many will be a good candidate for poly. 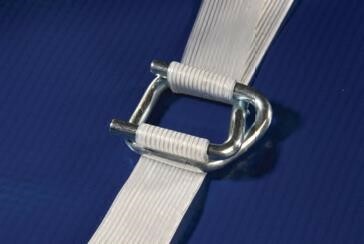 If you are new to the pallet strapping world, you might be wondering why a buckle is needed in the first place. Basically, the buckle is going to be used to bring together the two ends of your strap and to maintain tension in the line. Without tension, your strapping will be pretty much useless. The buckle is where that tension will be held throughout the shipping process. Note, however, that this is not a method that is typically used in high-volume settings, as it isn’t as fast as some other options, but it is great for those with low-volume needs. The step-by-step directions below should help you use a wire buckle with your poly strapping successfully. Fold one end of the strapping away from you to form a small loop. Slip the strapping through the center of the buckle and slide the loop over the open end of the wire on the far side. Take the strap down and away from you, running it under the far side of the buckle. From there, you will run the strapping around the package or pallet and back up to meet the buckle once again. With the open end of the strap, again make a loop – this time by folding toward you. Pull that new loop up through the strap and slide it on the open tine on the near side of the buckle. To tension the strap by hand, simply pull on the end of the strap. Alternatively, when more tension is required, you can use a tensioner tool. Thank you for taking the time to visit Vulcan Wire. Whether you need cargo securement products like poly strapping, wire, or the tools to put it all to work, our team will be happy to assist. Please give us a call for more information or to place an order. We look forward to serving you!